Insulate and Save!! Save significantly in your heating and cooling costs immediately with an attic insulation upgrade from K&H Home Solutions. 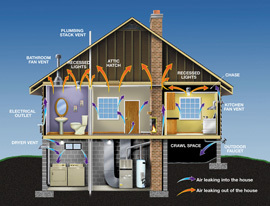 Home Insulating keeps your home cool in the summer and warm in the winter. fiberglass (in both batt and blown in forms), cellulose, rigid foam board, and spray foam. K & H Home Solutions offers blown-in cellulose insulation and our goal is to re-insulate your attic with minimal disruption. In other words, we know how hard you worked for your home. Thus we treat your home as if it were our own. Your home will receive the best possible care that’s available through experience, we know the best way to insulate your attic with the least amount of discomfort and time. 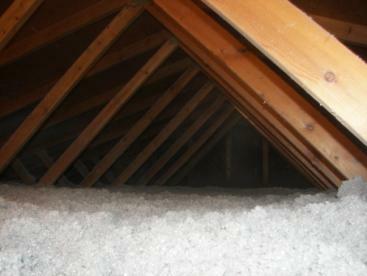 We will try our best to insulate your attic in one day so you don’t have to miss work or time with your family. We specialize in insulating existing home attics. We aim to look at the house from a systems approach. Our materials list mainly includes Cellulose in most applications and Fiberglass Insulation on others. For more information about our insulation products or to schedule a FREE in home consultation call us at 800-421-7101 or fill out this form.